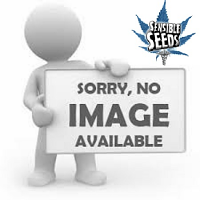 Most of our autoflowering feminized strains are easy to grow. This one, however, is so easy to grow that we had to call it Easy Bud. 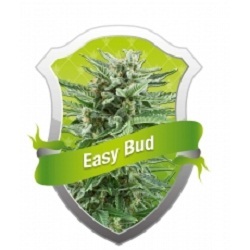 Easy Bud is very similar to the autoflowering strain White Dwarf. 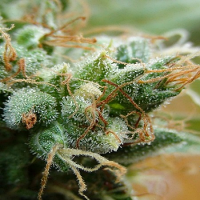 It is a cross between autoflowering Ruderalis and strong Indica strains. The autoflowering Ruderalis genetics mean it can grow almost anywhere. And it will flower automatically after just a few weeks. 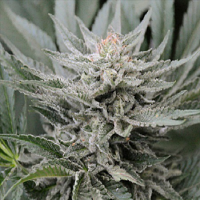 The Indica genetics have given it a stronger smoke and a relaxing physical effect. 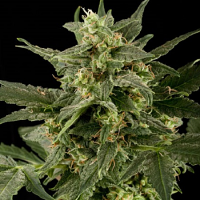 Easy Bud will grow and flower from seed in just 8 to 9 weeks. The plants stay small, growing to an average height of 50 to 60cm. This allows it to be grown in small grow rooms or areas that may not accommodate larger plants. For such a small, easy-to-grow plant, Easy Bud gives fair yields and, in good conditions, will yield around 45 g per plant. The buds have quite a strong, skunk smell and a sweet taste. This is a great variety for people who just want a nice and easy grow. Whether you are a first-time grower or just looking for something different to grow, it’s easy with Easy Bud.